Dunder Casino is a slick entry in the online gaming world that puts the focus on the player with exceptional customer support and support for numerous languages. 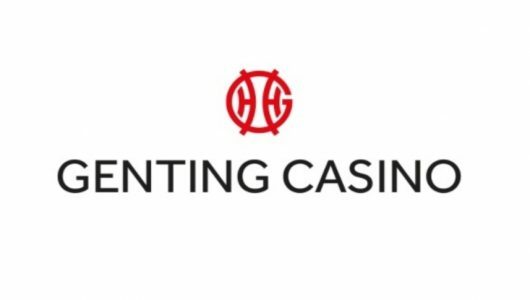 While it is a relatively new entry in the category (they opened for business in 2016) it’s quickly become a consistent favorite among gamblers thanks its numerous games and lucrative promotions. The site offers over 1,000 different games with most of the major gaming software developers including Net Entertainment, Microgaming, BetSoft and more making up the portfolio for this great casino. 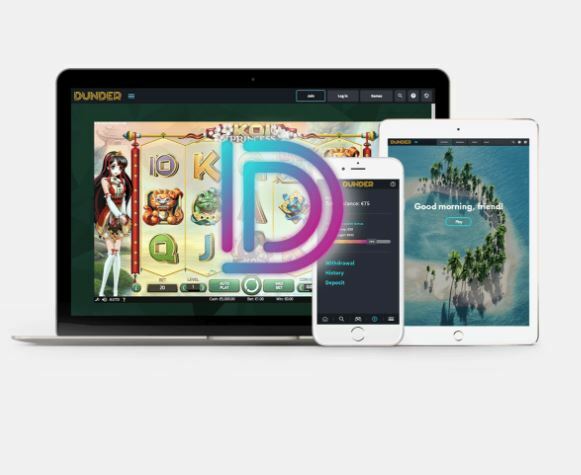 Dunder Casino also offers a relatively easy-to-use interface with support for almost every device you could think of including PC, Mac, iOS and Android. The casino also offers a very generous welcome package for new players that includes multiple free spins and a sizable deposit match. Sound to good to be true? We’ll go in-depth with the site below and give you an idea of what it’s like to play on Dunder Casino. Dunder Casino is a very attractive site that doesn’t rely on gimmicks or tricks for its overall look. Instead Dunder Casino offers a simple, unobtrusive background that puts the focus on what everyone is there for in the first place: the games. Dunder Casino features a huge amount of games with over 600 slots alone in addition to table games, video poker, live casino and more. There are a total of over 1,000 games on the site and you could go a long time without ever playing the same game twice. Of course a huge variety of new games can be overwhelming to players so Dunder Casino actually curates its slots and will feature new games prominently. Dunder Casino also has a helpful categories tab that helps players find games by feature, theme or type. Security is always a top priority for anyone looking for a new place to play and Dunder Casino goes above and beyond the industry norm with not one, not two but three different gaming licenses. 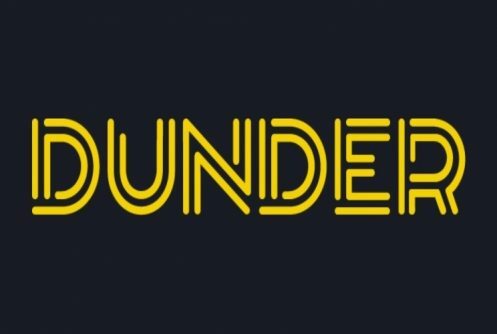 Dunder has licenses from the Malta, Curacao and the U.K. In other words: Your money is safe. The site is also known for its fast payouts. If you’re looking for a hassle-free place to play it’s hard to go wrong with Dunder Casino. The welcome bonus at Dunder Casino is an interesting one and potentially a very lucrative one for repeat customers. The site kicks things off with a wonderful No-deposit bonus of 20 free spins! 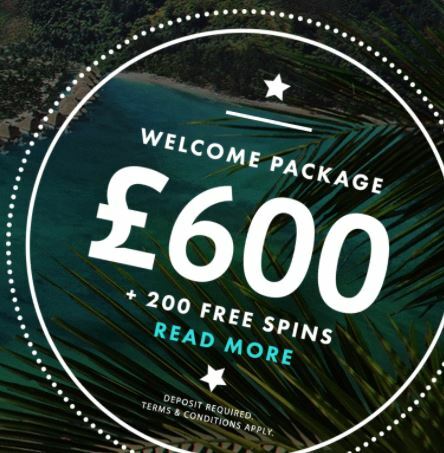 After that, on your first deposit they offer a 100% match up to £50 and 180 free spins on Starburst (technically 20 free spins a day for your first 9 days) but it’s repeat deposits where things get really interesting. The second deposit goes down to a 50% match but that’s up to £150. The third deposit on the site is set at 25% deposit match but up to £400. It’s a huge boon for repeat customers. It’s nice to see players who continue to play on the site get rewarded and it’s certainly some motivation to try a couple more deposits if the first one doesn’t work out. Dunder Casino offers a staggering number of games with well over 1,000 different entries. On the slots front you’ve got 600+ games with heavy hitters like Kings of Cash, Book of the Dead, Fruit Blast, Thunderstruck II, Viking Runecraft, Gonzo’s Quest, Starburst, Second Strike and many more. Slots not your thing? Dunder has plenty of options including a variety of table games with Blackjack, Roulette, Casino Hold’em and many more. There’s also a live casino so you can play Blackjack and Roulette on actual real-life tables if you prefer. Dunder Casino allows players to filter by theme so for instance you could play every game that’s Egypt themed (there are a surprisingly large number of them!) or everything that has a progressive jackpot. It’s a very helpful feature. The site makes use of a large number of software developers big and small including Net Entertainment, Microgaming, Betsoft, Play’n Go, Evolution Gaming, Red Tiger Gaming, Yggdrasil, Thunderkick, Side City Studios, NextGen and Push Gaming. There’s a good chance that whatever you want, Dunder Casino has it. There are a number of ways to deposit or withdraw money on Dunder Casino including the standard bank transfer as well as credit cards Visa and Mastercard. Dunder Casino also supports some of the lesser-known payment processors such as Trustly, Skrill, Neteller, Euteller, Paysafecard and EcoPayz. Generally withdrawals are processed within 1-3 banking days but the occasional one can take a little longer. One upside of Dunder Casino is that it supports a large number of currencies including US dollars, Australian dollars, U.K. pounds, Swedish Kroner, Norwegian Krone and Euros. Dunder Casino features an extremely competitive 25% wagering requirement to withdraw bonuses. You’re not going to find a wagering requirement much lower than that on the internet and it’s definitely a huge part of the reason to play on Dunder Casino. Keep in mind that different games contribute different percentages of wagering requirements. Most slots will provide 100% towards wagering requirements but table games are set at 10%. Certain slots and video poker provide 0% so make sure to check before playing a tonne. The wagering requirement can sometimes vary for certain bonuses but Dunder Casino always does a good job of being transparent and informing the costumer before depositing. As usual you can always withdraw you complete deposit about (without the bonus cash of course) at any time. Dunder Casino is a fast, fun and easy place to play. 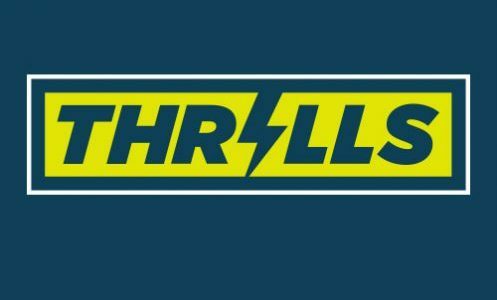 It’s got a massive assortment of slots, table games and live casino games that will keep the average punter busy for weeks. There’s very little not to like about Dunder Casino and the entire presentation is very impressive. There seems to be a feeling of power to the people on Dunder Casino with an impressive welcome package and wagering requirements that are actually not impossible to unlock. It’s lacking in a few areas, there’s no VIP program for instance, but it seems like all the money that could have been devoted to those types of incentives have simply been given back to players in better bonuses and simpler betting requirements. Dunder Casino seems to care about their costumers in a way that’s not necessarily found across the board in the online gaming world. Security is also top-notch with licenses from three different countries and a host of certifications from online regulators. Thanks to all the features mentioned above, and more, Dunder Casino is simply a very attractive place to play.